Libraries have been filled with works and critiques analysing, examining, deconstructing, explaining, glorifying or reviling Carl von Clausewitz’s seminal work On War. First published in Germany in 1832, On War, consisting of eight books numbering more than seven hundred pages, is still widely read. It is a standard source for those interested in the phenomenon of war and armed conflict. The work is based on rigorous analysis of the wars of the eighteenth and early nineteenth century, all being wars between nation-states. With the rise of intrastate conflicts, civil wars and, in particular, terrorism in the last two decades, some thinkers consider On War as a relic from the past. Is On War still relevant in the world of today’s conflict? On War is a standard source for those interested in war and armed conflict, in particular after the 1976 translation by Paret and Howard. Most scholars would agree that On War can generally be characterised in two diametrically opposed but accurate ways. First, it is seen as ‘the one truly great book on war yet written’ and second, as ‘often quoted but little read’. Overall, in spite of its flaws and sometimes contradictory insights, it is one of the very few books in the Western world that seeks to present a theory of war. The work is based on rigorous analysis of the wars of the eighteenth and early nineteenth century, all being wars between nation-states. This premise is why the work is often considered to be applicable only to larger interstate wars. 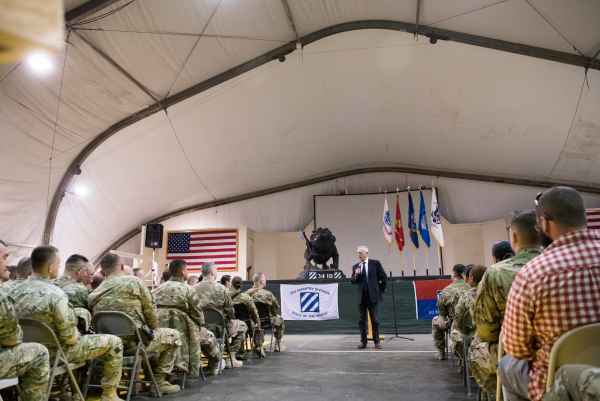 With the rise of intrastate conflicts, civil wars and, in particular, terrorism in the last two decades, a ‘new wars’ school of thought has dismissed On War as a relic from the past. According to this school violent conflicts emerge less between states; the lines between state and non-state actors are blurred. Mary Kaldor, exemplifying the new wars thinking, argues that the nature of wars has changed. Violent conflicts tend to be longer, more pervasive, less decisive, fragmented and with more non-state actors claiming power through identity rather than territory. With the state becoming less of an actor Clausewitz’s so-called trinity that links the concept of war to the three tendencies of passion, chance and reason was also undermined by critics like Creveld and Keegan. Other scholars, such as Toffler, Owens, Summers and others, have additionally argued that the nature of war has changed because of a Revolution in Military Affairs (RMA). They claim that as a result of technology – in particular information technology – the disrupting factors that Clausewitz considered integral to the nature of war – uncertainty, danger, fear, courage, chance and friction – could be devalued or made redundant. This article addresses the question whether the historical thinker Clausewitz’s main work On War is still relevant in the world of today’s conflict. First, On War will be briefly introduced by explaining its objective. It will be argued that through its methodology of analysing opposing extremes and its non-prescriptive nature it is an important source for the study of war that itself remains a cornerstone for the education of strategic leaders. Second, since much of the criticism and discussion about On War revolves around the notion that the nature of war has changed, either because of a shift from state to non-state actors or rather because of the ways and means used in war, Clausewitz’s view of the nature of the war will be examined, as well as his ideas about the manifestations of war that can change over time. 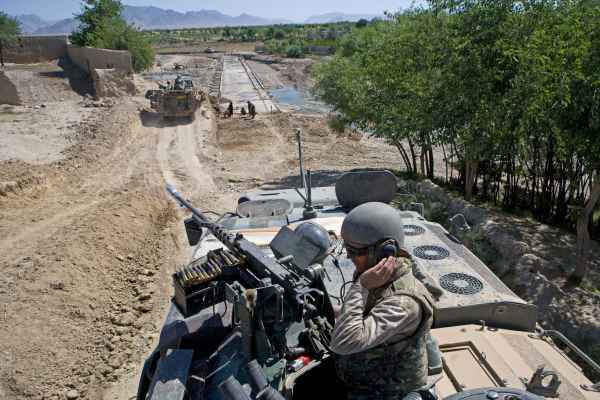 The third section examines whether some of the main criticisms that On War does not explicitly addresses forms of war other than interstate war are true. This section shows that there is proof that ‘small wars’ are included in Clausewitz’s thinking and work. Moreover, a different interpretation will be offered that shows On War’s inclusiveness and applicability to other manifestations of war. This links up to a fourth section that explains that On War’s central theme of war as a continuation of politics with other means is not state-centric but inclusive for all types of war. Then, the concept of Clausewitz’s so-called (primary) trinity of passion, chance and reason and its derived (secondary) trinity will be discussed. A narrow interpretation of this secondary trinity has led to the persistent view that the trinity and thus Clausewitz are no longer valid. Based on more sophisticated interpretations it will be explained that the trinity allows for a more inclusive and dynamic approach, in which none of the elements should be considered neither in isolation nor in a hierarchical manner. In conclusion it can be said that On War is still a very relevant source if one wants to understand the complex social phenomenon of war and armed conflict. On War is rich in ideas that are pertinent to contemporary armed conflict but, as Colin Gray rightly pointed out, it has to be read and re-read to grasp its full meaning. It should be mentioned that the article does not compare modern conflicts with previous ones; it rather assesses the original source text and relevant studies of scholars in order to see if On War can be used for understanding modern conflicts. The study of historical wars, as Clausewitz did in his work, could offer us insights in causes of conflict that may lead to identification of enduring characteristics and even principles that inform conceptual models or theories. Studying wars and armed conflicts, both contemporary and historical, will help to identify patterns and common characteristics that inform the development of explanatory theories or models. Reversely, theoretical models can be used to analyse conflicts. In general, conceptual or theoretical models can help us to understand complex phenomena by specifying individual elements of the whole and mutual relations between these elements using interrelated variables, definitions and propositions. This is what Clausewitz hints at in his preface to On War saying that the work attempts to investigate the essence of the phenomena of war and the links ‘between these phenomena and the nature of their component parts’. Clausewitz’s aim with On War is to capture objective knowledge: observations that are universal to all wars and that he ultimately wanted to present in a theory which he saw as an organised corpus of observations, as fundamental relations between cause and effect. However, the work does not contain such a theoretical system but rather ‘offers only material for one’, as Clausewitz admits himself. His insights were based on a rigid study of military history and, in particular, the Napoleonic Wars in which he himself served for some time. Some of the examples from history in On War are very illustrative and detailed. In his search for objective knowledge he used the dialectical method of reasoning, which essentially is a critical examination into the truth of an opinion by using a dialogue of opposing (polarities) or contradictory views. Although Clausewitz was influenced by his contemporary German philosopher Emmanuel Kant, this method is reminiscent of the Greek philosophers. In On War Clausewitz examines in depth the relations between opposites such as theory and practice, attack and defence, genius and method, all following from the assertion that war in essence is a ‘duel’ of opposing wills. He deliberately does not seek to reconcile the opposites but rather keeps a tension throughout the book because the enduring altercation between opposing mental pictures of reality in the mind of the commander matters most. War is the realm of uncertainty and Clausewitz therefore asserts that a ‘sensitive and discriminating judgement is called for; a skilled intelligence to scent out the truth’. This places a premium on knowledge that can only be obtained ‘through the medium of reflection, study and thought’. This knowledge should be combined with experience from life itself and must become a capability through ’absorption into the mind’. The knowledge required is not easy to apply and the difficulty becomes most extreme at the level of the strategic leader. Although there is no need to be a learned historian, the strategic commander, according to Clausewitz, must be at ease with the ‘higher affairs of state’ and be familiar with ‘current issues, questions under consideration, leading personalities and be able to form sound judgements’. This understanding of the value of studying history and theory in combination with practice is widely shared in military education systems throughout the modern world. At higher level more emphasis is given to study of history and theory in order to develop critical analysis and judgement. 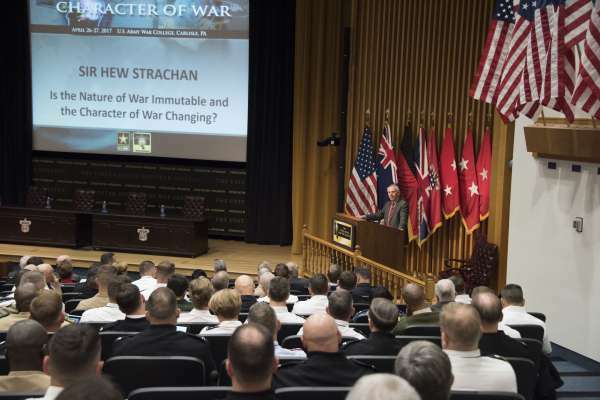 At the strategic level prescriptive doctrines no longer work as they do at lower military tactical and technical levels where situations are less ambiguous and often more predictable. Retired US General and current Secretary of Defence Jim Mattis famously said: ‘[My reading] doesn’t give me all the answers, but it lights what is often a dark path ahead. […] Ultimately, a real understanding of history means that we face nothing new under the sun’. On War is not an easy book, nor is its object, war. It does not offer solutions but rather stimulates thinking and reflection by way of its method of reasoning. According to Gray, Clausewitz’s On War, Sun-Tzu’s Art of War and Thucydides’ Peloponnesian War constitute the essential trilogy for understanding strategy. War is a social phenomenon that is aimed at imposing one’s will on one’s opponent through the use of force; an interaction between opposing forces that in theory leads to extremes, but that in practice will be moderated by external and human factors. It will be argued that although On War is written in a state-centric era, Clausewitz himself acknowledged the fact that war can have different manifestations through history depending on actors, purpose, and even means available at the time. According to Clausewitz, war is part of man’s social existence. It is ‘a clash between major interests, which is resolved by bloodshed - that is the only way in which it differs from other conflicts’. He defines war as a social activity between actors with a will of their own and with hostile feelings and intentions and emotions, the ‘collision of two living forces’ that are ‘opposed in equal measure to each other’. He continues with the thesis that war in itself has no logical limit to the application of force. Each side will compel ‘its opponent to follow suit; a reciprocal action that must lead, in theory, to extremes’ in use of force, exertion of strength and to rendering the enemy powerless. For Clausewitz the ‘absolute war’ was the theoretical, unbound manifestation of war, with a tendency towards unlimited violence in order to achieve one’s objectives. But, as he later on explains, that concept cannot exist in practice as it will always be limited by human and environmental factors. Starting from a theoretically absolute maximum, Clausewitz peels of the layers and comes to a more realistic understanding. As a result, war is never an isolated act, its results are never final and, moreover, the struggle is probabilistic in nature; chance plays an important role. 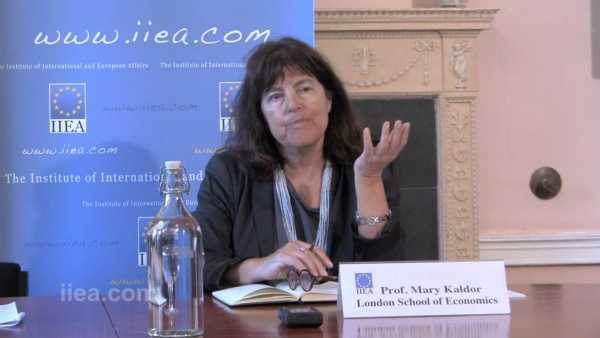 Critics, most notably Mary Kaldor, have argued that the nature of war has changed in the last decades. As Clausewitz defines war just as ‘an act of force to compel our enemy to do our will’ it follows that its nature must, according to this simple description, be unchanging. The appearance of the war may, however, change over time. Clausewitz recognized war’s ability to change its appearance when he compared war to a chameleon that can adapt its characteristics to a given case. Appearances that are defined by a wide range of contextual factors. Clausewitz said: ‘…man invented appropriate devices to gain advantage in combat, and these brought about great changes in the forms of fighting. Still, no matter how it is constituted, the concept of fighting remains unchanged. That is what we mean by war’. Based on a historical overview from the wars of Alexander to the age of Napoleon, Clausewitz finally concluded that every age had its own kind of war, with limiting conditions and preconceptions as a result of particular characteristics of actors and means, without signifying a fundamental change in the nature of war. Technological developments, such as the Revolution of Military Affairs, that would alter the nature of the war by lifting reducing friction and lifting ‘the fog of war’ have changed the way wars are fought but did not deliver on their promise; in recent wars, such as in Iraq and Afghanistan, all elements of friction occurred at all levels. No actor in armed conflict, past or present, has been able to escape the influences of friction, chance and luck. On War offers a framework for the understanding of war as a social phenomenon, that is the collision between living forces. It includes rational and non-rational elements, physical and moral factors as well as uncertainty, friction, and chance. 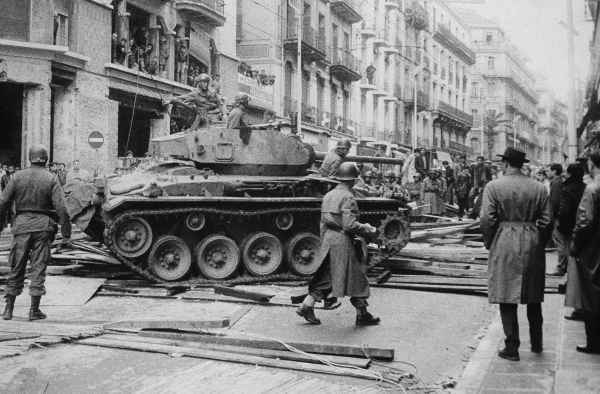 Although the way the war is fought may change over time, its nature has not yet fundamentally changed. It is likely that Clausewitz’s thinking is predominantly influenced by the intrastate wars of his time. So, what can be said about specific references to other forms of war? He seemed to be interested in small wars because of the relationship between relative strengths of opponents and their strategy and tactics; partisans might lack tactical strength but can still achieve strategic effects through limited actions. As a teacher at the Berlin War College, Clausewitz lectured and wrote on small wars by analysing the Vendee Rebellion (1793-1796), the Uprising in Tirol (1809), as well as the Spanish Guerrilla (1809). In this context, Daase and Schindler refer to the so-called Bekenntnisdenkschrift in which Clausewitz advocated a people’s revolt and a plan for a revolt of the Prussian people against the French occupant. And in On War itself, in chapter 26 of Book Six titled ‘The people in Arms’, he describes the actions of a ‘politically aware, passionate people, fighting for national independence, and not ready to accept the outcome of battle’. He wrote in detail about the use of the guerrilla, which he saw as complimentary to the regular forces. Contrary to his critics’ opinions, Clausewitz can be seen as an ‘innovative theorist of small asymmetric wars’. He can be considered as having laid the foundations for modern thinking on asymmetric warfare by examining in On War the relation between a stronger and weaker adversary and the advantages of the defence over the attack. The first book already sets the scene by introducing the idea of ‘wearing down the enemy’ by using the duration of the war to bring about a gradual exhaustion of his physical and moral resistance. Using one’s limited means to the level as to just balance any superiority the opponent may possess, could be enough to make him realise that the political objective in the end is not worth the effort. This method of wearing down the enemy evidently applies to many cases where the ‘weak endeavour to resist the strong’. Heuser asserts that Clausewitz strongly influenced 20th century thinkers on guerrilla and asymmetric warfare like Lenin, T.E. Lawrence, who praises On War in ‘The Seven Pillars of Wisdom’, and above all Mao Zedong. Mao may have built his theory of the People’s War on the ideas of Clausewitz whom he apparently had studied and admired. Additionally, one should not only focus on texts with explicit reference to small wars. According to Daase and Schindler, asymmetric wars may implicitly be omnipresent in Clausewitz’s main work. Small wars, just like other forms of war, are part of the well-known formula that war is an extension of politics with other means. This is contrary to what other scholars believe who actually saw the formula as not being up-to-date or even obsolete, arguing that the ‘politics’ (Politik in the German text) in the formula strictly refers to the State. Daase and Schindler explain that mainly three misunderstandings conceal the fact that Clausewitz refers to all forms of conflicts. First, the relation between politics and war is to be considered as being of a descriptive factual nature and not as normative. Criticism often reflects the way how war and its elements should be seen and not how they actually are. Second, building on the previous argument, the relationship between war and politics is often understood as the military being instrumentally subordinated to the political whereas Clausewitz’s point is that war is always political in nature and has no logic of its own, regardless of whether the political or military body define the political purpose and strategic aims. Finally, Daase and Schindler point out that in On War the term ‘politics’ (Politik) is actor neutral and should therefore be seen as a formal theoretical concept of politics rather than being determined only through stately power and security interests and structures. Herbert-Rothe goes a step further by saying that Clausewitz employed a very wide concept of what a state embodied. A modern term which expresses this better would be community and particularly 'warring community', not state in a modern sense. The concept of the state ‘in fact means any kind of “community at war”’ and that ‘political could embody any purpose and value assigned to it by a warring community’. Upon close scrutiny of the text, it appears that the state as entity is not often explicitly mentioned; Clausewitz uses the term in a general sense. The term ‘Politik’ is not clearly defined and even in the German text non-state actors or other forms of war are not explicitly excluded. So, the interpretation that Clausewitz implicitly embraces them is justifiable. Moreover, following the argument that the body setting the policy/politics is to be seen as neutral or ‘warring community’, the conclusion that On War offers a framework that can be applied to all kind of wars including small, asymmetrical ones, is highly plausible. Considering the fact that Clausewitz himself explicitly writes in both On War and in other works on the subject of ‘small wars’ and that his work has inspired well-known theorists of guerrilla and people’s wars, it is hard to sustain the argument that On War is only applicable in wars between states. As noted previously, arguably one of the most important points of On War is the insight that war is firmly related to the political purpose, the reason why the war is fought in the first place. In practice, the leadership of a community sets the policy. This applies not only to states; even the most ‘violent insurgents envision their actions as working toward a cause they perceive to be ratio­nal’. The idea that war is an instrument in the hands of a principal to achieve an objective is not new and can also be found in the classical works of, for instance, Thucydides and Machiavelli. In this regard Clausewitz is not so much a discoverer but rather an innovator, expanding on earlier knowledge and giving it a deeper conceptual meaning. As mentioned earlier, Clausewitz was looking for relationships between the elements of the whole. The relation between the political objectives and the use of force as a means to achieve them is dynamic: once war has started, the opponents will clash as will their policies. That reciprocity will create its own dynamic and can have consequences very different from the policies that are meant to be guiding it. In other words, the initial political objective is not immune to change; it can and will adapt to the course of the war. Clausewitz’s often quoted ‘formula’ that war is merely the continuation of policy with other means can be seen as linear and exclusive: when all other means have proven ineffectual the war takes over. In this interpretation diplomacy and negotiation are merely alternatives for the use of force. Much of the debate on the relevance of On War focusses on Clausewitz’s ‘paradoxal’ or ‘wondrous’ trinity. ‘As a total phenomenon its dominant tendencies always make war a paradoxal trinity – composed of primordial violence, hatred, and enmity, which are to be regarded as a blind natural force; of the play of chance and probability within which the creative spirit is free to roam; and of its element of subordination, as an instrument of policy, which makes is subject to reason alone’. Depending on the scholar, the trinity of violence, chance and reason, is sometimes also referred to as ‘hostility, chance and purpose’ or even ‘irrational, non-rational and rational factors’. However, this trinity should be considered as the ‘primary’ or the ‘objective’ trinity. In his 2016 treatise, Thomas Waldman explains that each of the three tendencies of this primary trinity is mainly manifested in a corresponding subject within society: respectively, the people, the commander and his army, and the government. This set of three elements constitutes the ‘secondary’ or ‘subjective’ trinity. The second trinity is merely an application of the first. The actors are elements of the state or society but not of war itself. Confusion arises in the interpretation of the secondary trinity. Crucial but much overlooked or misinterpreted is the word ‘mainly’ which indicates that the respective tendencies are not exclusively reserved or devoted (zugewendet) to the actors mentioned but merely could be instilled in other groups or stakeholders too. But, because the elements of the secondary trinity look remarkably like the main constituent elements of the state, many interpreters only considered this secondary trinity and arrived at the concept of ‘trinitarian warfare’, in which three actors are represented in a fixed triangle with the government at the top and the military and the population subordinated to the leaders. As a consequence, this interpretation results in a persistent state-centric interpretation of On War and the assertion that Clausewitz's theory only applies to interstate warfare. The state-centric ‘Clausewitz renaissance in the USA’ logically led to criticism that in time of increasing non-state wars the ‘Clausewitzian Universe’ would rapidly become out of date and, as Van Creveld concluded, would no longer help us in understanding war. However, that is a misconception. As mentioned earlier, Clausewitz’s reasoning was based on the analysis of polarities, the opposite between poles that are elements of larger whole – like the two poles of a magnet are inseparable as a third unity, the magnet. Clausewitz understood polarity as a relationship between the opposites rather than one between different ‘things’. As a result, one should look at the trinity as a continuum of opposing but inseparable attractions with the object ‘war’ floating in between. The three tendencies are not at all static but ‘variable in their relation to one another. A theory that ignores any of them or seeks to fix an arbitrary relationship between them would conflict with reality to such an extent that for this reason alone it would be totally useless’. Several authors have refuted the narrow interpretation of the trinity and offer interpretations that allow for inclusion of other actors than the state and also argue that the primary trinity is applicable to all forms of war because its three tendencies of passion, chance and reason are universal. For example, Waldman adds an additional layer of context to the trinity that accounts for the ‘varying conditions in which societies conduct their wars’. His conclusion that the trinity can be considered a unity – an indivisible and integrated whole – allows for a better understanding of the secondary trinity as a framework for capturing the manifestation of the three primary forces in relation to particular wars. ‘The primary tendencies of policy, chance and passion are typically associated, respectively, with the political leadership, fighting forces and popular base, but a closer examination reveals the varying impact of all three on all social groups’. Combined with Daase and Schilling’s observation that On War is often considered to be normative rather than descriptive and Herberg-Rothe’s interpretation that Clausewitz’s understanding of the ‘state’ is not like the modern one but rather a ‘community at war’, it can be concluded that the trinity offers an inclusive tool for analysis that can be applied to many forms of wars in which the three tendencies of passion, chance and reason express themselves in varying degrees according to the context. Mary Kaldor, herself a firm critic of Clausewitz’s, concluded in 2013: ’So, if we think of the trinity in terms of the institutions of the state, the army and the people, then it cannot apply. But if we think of the trinity as a concept for explaining how disparate social and ethical tendencies are united in war, then it is clearly very relevant’. The mere fact that almost two hundred years after its inception we still study and discuss On War is in itself a proof of its exceptional status. Notwithstanding the fact that the ambiguities in the work allowed ideological enemies to claim it as authoritative for their thinking and the very competitive advanced academic debate in the last decades, it appears that On War and Clausewitz are still relevant in today’s world of conflicts as a work for all times because its ideas underpin much of our corpus of knowledge of armed conflict. On War can be seen as a conceptual model, a framework for understanding the complexities of war. Its way of reasoning through proposal and counter proposal, using rhetorical questions and answers and comparing theory with reality makes On War today a stimulating work for the education of strategic leaders. As Clausewitz himself explains in his foreword, On War is a collection of ‘certain ideas and convictions […] like small nuggets of metal’. The mere fact that the work is unfinished and neither a fully developed theory nor a checklist actually contributes to its value because it forces the reader to interpret before applying the ideas to reality and ‘any theoretical work of this type that is devoid of apparent or real contradictions could never represent a realistic analysis of the real world of war’. 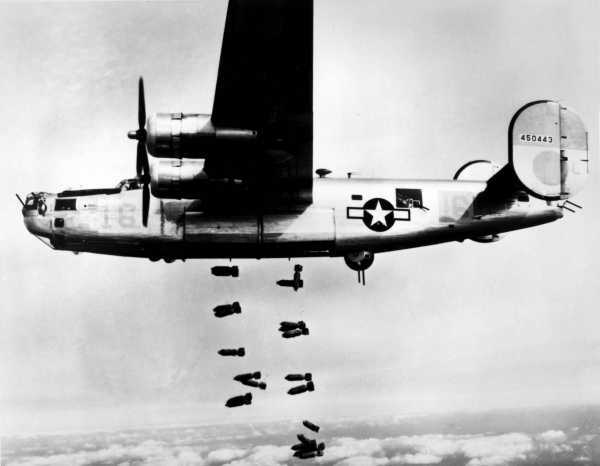 Much of the discussion over On War revolves around the issue whether the nature of war has changed or rather the ways in which war manifests itself. Based on both Clausewitz text as well as recent studies, it can be concluded that at this point in time the nature of war has not changed but that its manifestations indeed have. The continuously new and changing forms of war in the twenty-first century will most likely generate intense study and debate, but as Clausewitz taught us, we should take our time before being overawed by first impressions. Unlike scholars in the past decades have written, Clausewitz implies, and does not exclude, the possibility of other wars than the nation-state war, albeit not explicitly. In his earlier writings and lectures he has treated concepts of ‘small wars.’ He has advocated the possibility of people’s war when Prussia was occupied by France and wrote a chapter in On War on the subject. Moreover, it can be concluded that Clausewitz included other types of war and non-state actors in his overall theory because his notion of the state is wider and more inclusive than the narrow interpretation of the modern nation-state. His ‘wondrous’ trinity helps to develop an understanding for the interlinked tendencies and relations between actors and their motivations. The first ‘wondrous’ trinity explains the motivations and the tendencies that are linked in war. The second trinity links the tendencies to actors in societies within its specific context of time and place and can serve as a tool to examine and understand any war at hand. One of the positive results of the critiques in the last two decades following the ‘new wars’ thinking is a revival of Clausewitzian scholarship that has led to much more sophisticated interpretations of On War and, as a consequence, the phenomenon of war itself. We should treat On War ‘as a living document’. As Fleming concludes, the ideas of Clausewitz and the ‘new wars’ trend are not at all mutually exclusive. Rather, Clausewitz’s concepts to analyse ostensibly new wars in combination with the ‘new wars’ ideas could help us to unravel the complexities of modern armed conflicts. If anything, the primacy of politics, as argued by Clausewitz, rather than violence, might prove even more essential nowadays than in ‘conventional’ wars between ‘states’. * Colonel Eric de Landmeter attended the 2017 course at the UK Royal College of Defence Studies. During this time he read for a Masters International Security and Strategy at King’s College London. This article is based on one of a series of three award-winning essays he wrote for this study. The author is currently Defence Attaché in Moscow. F. Nietzsche, Human, All Too Human, Vol II, part One, Assorted Opinions and Maxims, 137, trans. R.J. Hollingdale (Cambridge, Cambridge University Press, 1986) 245. C. von Clausewitz, On War, transl. and ed. M. Howard, P. Paret (Princeton, Princeton University Press, 1976). B. Brodie, ‘Clausewitz: A Passion for War’, World Politics 25/2 (1973) 228-308. A.J. Echevarria II, Clausewitz and Contemporary War (Oxford, Oxford University Press, 2007) 3. B. Schuurman, ‘Clausewitz and the ‘New Wars’ Scholars’, Parameters 40 (2010)1, 89. M. Kaldor, ‘A cosmopolitan response to new wars’, Peace Review 8:4 (1996) 505. H. Strachan, ‘The case for Clausewitz: Reading On War today’, The Direction of War – Contemporary Strategy in Historical Perspective (Cambridge, Cambridge University Press, 2013) 48, 51. Strachan, ‘The case for Clausewitz’, 46‐63, and Colin Fleming, Clausewitz’s Timeless Trinity: A Framework for Modern War (Farnham, Taylor and Francis, 2013). C. Fleming, Clausewitz’s Timeless Trinity: A Framework for Modern War (Farnham, Taylor and Francis, 2013) 13-14. Strachan, ‘The case for Clausewitz’, 48. C.S. Gray, Fighting Talk, Forty Maxims on War, Peace, and Strategy (Washington D.C., Potomac Books, 2009) 61. F.N.Kerlinger, Behavioral research: A conceptual approach (New York, Holt, Rinehart & Winston,1979). C. von Clausewitz, On War, trans. and ed. M. Howard, P. Paret (Princeton, Princeton University Press, 1976) 61. All further references to On War are based on this edition. Ed. by T. von Ghyczy, B. van Oetinger, C. Bassford, Clausewitz on Strategy, Inspiration and insight from a master strategist, Boston Consulting Group (New York, Wiley&Sons, 2001) 19. M.I. Handel, ‘Who is afraid of Carl von Clausewitz? A guide to the perplexed’, Strategic Studies: A Reader (Second Edition), T.G. Mahnken and J.A. Maiolo (eds) (Abingdon, Routledge, 2014) 54. Gray, Forty Maxims on War, 58. Handel, ‘Who is afraid of Carl von Clausewitz’, 58. B. Brodie, ‘The Continuing Relevance of On War’, in Carl von Clausewitz, On War, trans. and ed. M. Howard and P. Paret (Princeton, Princeton University Press, 1993) 48; Clausewitz, On War, 76. Kaldor, ‘A cosmopolitan response to New Wars’, 505. Strachan, ‘The case for Clausewitz’, 51. Schuurman, ‘Clausewitz and the “New Wars” Scholars’, 95. Schuurman, ‘Clausewitz and the “New Wars” Scholars’, 97. Handel, ‘Who is afraid…’, 58. Strachan, ‘The case for Clausewitz’, 59. C. Daase and S. Schindler, ‘Clausewitz, Guerillakrieg Und Terrorismus. Zur Aktualität Einer Missverstandenen Kriegstheorie‘, Politische Vierteljahresschrift 50, 4 (2009) 703. Strachan, ‘The case for Clausewitz’, 60. B. Heuser, Reading Clausewitz (London, Random House, 2002) 136. Daase, Schindler, ‘Clausewitz, Guerillakrieg Und Terrorismus‘, 701-31. Heuser, Reading Clausewitz, 138, 139. Daase, Schindler, ‘Clausewitz, Guerillakrieg Und Terrorismus’, 706. Carl von Clausewitz, Vom Kriege, Ungekürzter Text nach der Erstauflage (1832-34) (Frankfurt/Main, Ullstein, 1980), e.g. 34, 674‘. A. Herberg-Rothe and J.W. Honig, ‘War without End(s): The End of Clausewitz?’, Distinktion: Journal of Social Theory (2007) 8:2, 143. Clausewitz, On War, 69, 80, 87, 605. Schuurman, ‘Clausewitz and the “New Wars” Scholars’, 96. Strachan, ‘The case for Clausewitz’, 55. Kaldor, ‘A Cosmopolitan response’, 509. ‘Paradoxal’ is in line with the Paret translation. Often the trinity is referred to as ‘wondrous’ which is closer to the German ‘wunderliche Dreifaltigkeit’ (Vom Kriege, 36). The word paradox could lead to a debate because a paradox suggest that elements are contradictory and not reconcilable. Honig and Rothe argue that the tendencies are to be understood as the extremes of a continuum, not as opposites. T. Waldman, War, Clausewitz and the Trinity (Abingdon, Taylor and Francis, 2016) 6. Strachan, ‘The case for Clausewitz’, 46. The German text uses the word ‘mehr’ (Eng: more), an indication for relative amount but not quite the same as ‘mainly’, let alone exclusive. Strachan, ‘The case for Clausewitz’, 47. Herberg-Rothe, Honig, ‘War without End(s)’, 143. M. van Creveld, The Transformation of War (New York, Free Press, 1991) 58. A. Herberg-Rothe, Clausewitz’s Puzzle, The Political Theory of War (Oxford, Oxford university Press, 2007) 124. Daase, Schilling, Bassford, Herberg-Rothe, Waldman, Schuurman. Waldman, Clausewitz and the Trinity, 185. M. Kaldor, ‘In Defence of New Wars’, Stability 2013 2 (1):4, 1-16, 11. L. Freedman, Strategy – A History (Oxford, Oxford University Press, 2013) 86. Handel, ‘Who is afraid…’, 54. Waldman, Clausewitz and the Trinity, 186. C.M. Fleming, ‘New or Old Wars? Debating a Clausewitzian Future’, Journal of Strategic Studies 32:2 (2009) 213-241, 231. C.S. Gray, ‘Clausewitz, History, and the Future Strategic World’, The Occasional 47 (2003)14. Fleming, ‘New or Old Wars’, 238. Kolonel Eric de Landmeter is defensieattaché in Moskou.